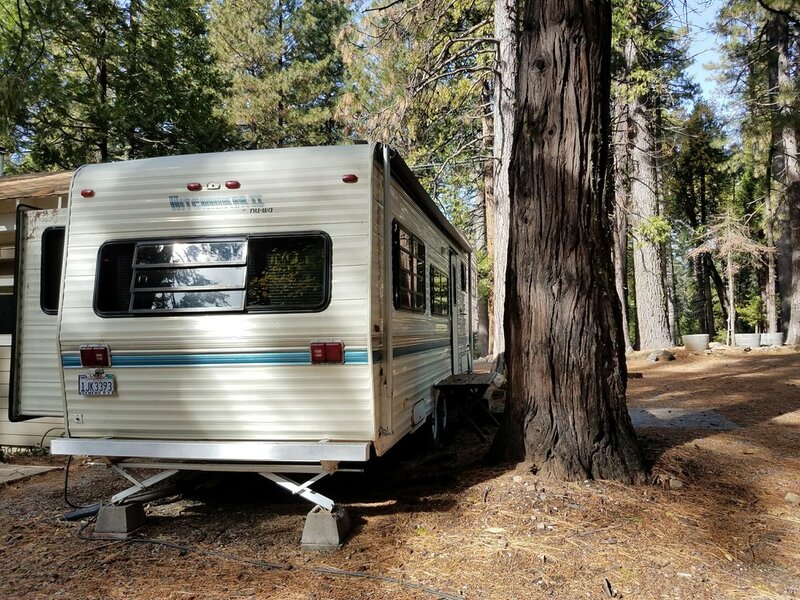 Don't have a trailer of your own, or need a bit more space for your camping adventure? 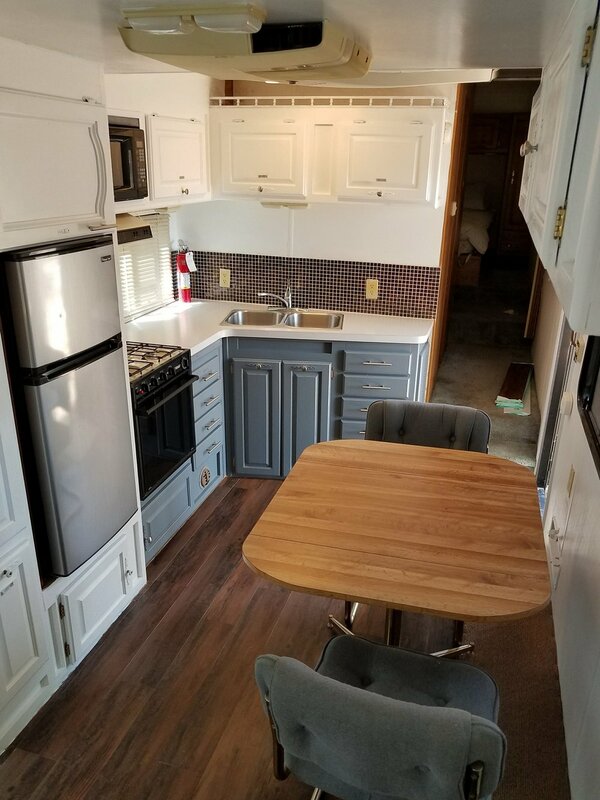 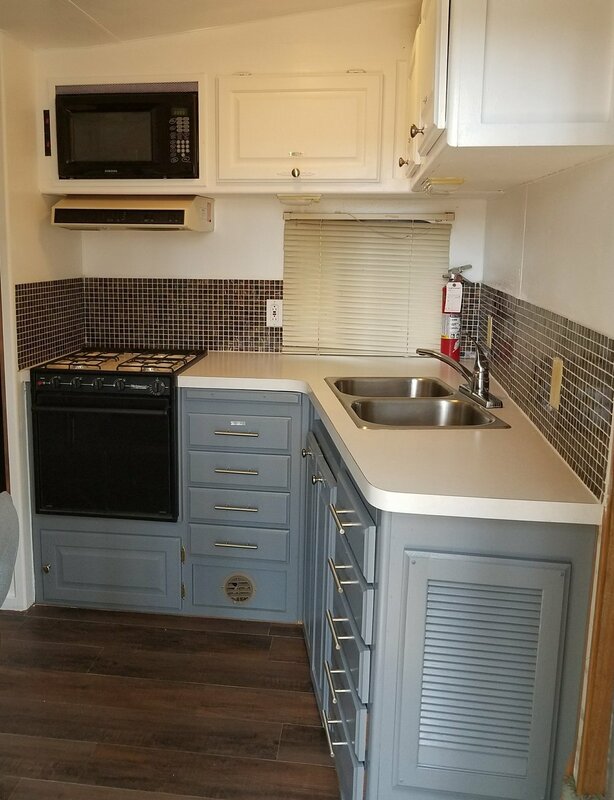 This on-site rental trailer, located in the back of the park, across from the tent area is great for guests who prefer a few more amenities in their campsite. 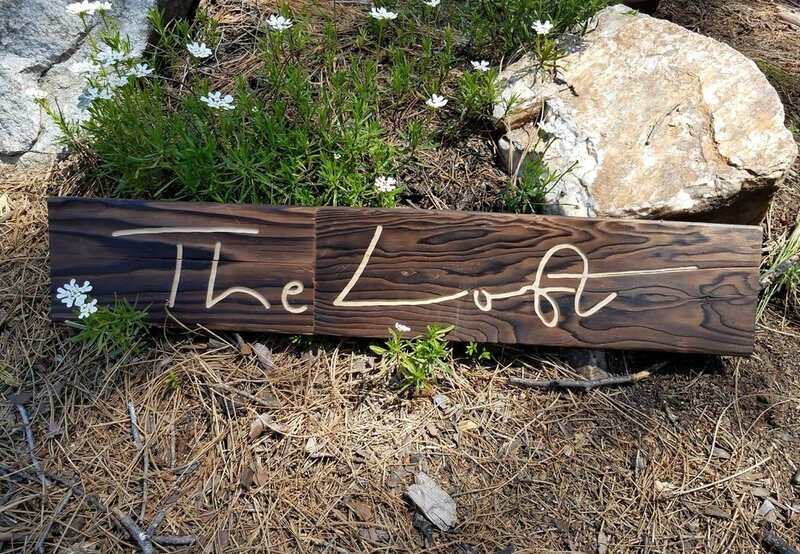 The Loft is a renovated 1991 Nu-Wa Hitchhiker II and features a full kitchen, large living room space, bed room, and bath with hot shower. 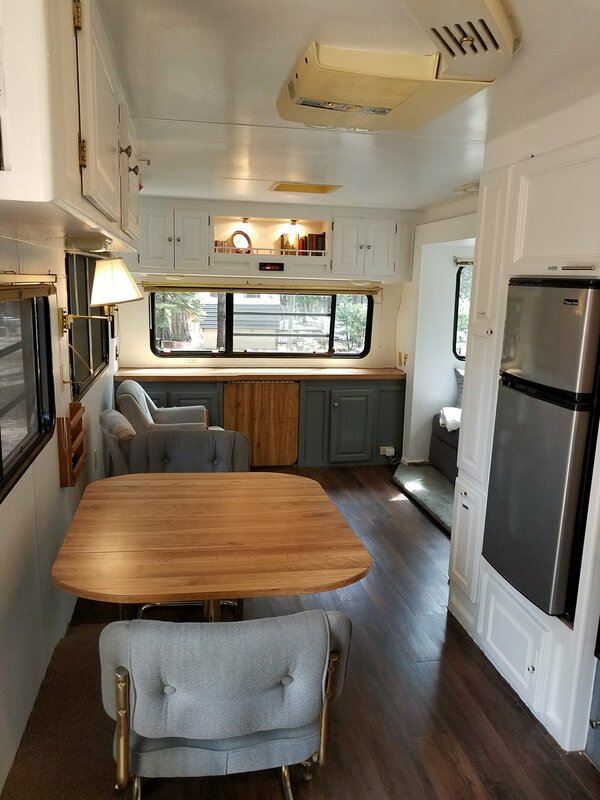 It can sleep up to 4 people between its full-size fold out couch and full bed. 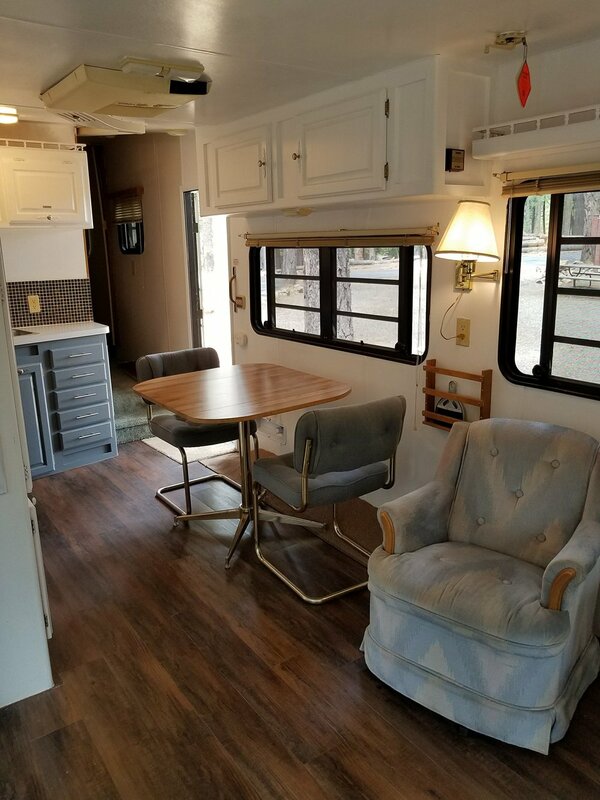 Fitted sheets provided, guests must provide their own bedding, pillows and towels (emergency bedding available for a small fee).